Dr. Frank D. Gorrez, PhD, an agronomist who graduated from UP Los Baños, shares with us a farming syllabus that he helped develop with the Shalom Science Institute for teachers, students and farmers in Banago, Balabagan, Lanao Del Sur, Autonomous Region of Muslim Mindanao. The syllabus, which he called Training and Technology Transfer System or 3TS, was to comply with a requirement of the Department of Education for senior high school students. It was started in 2016, and nurtured until 2018 until it was sustainable. The 3TS program that Dr. Gorrez helped develop is a reminder of the immense role that the educational system can contribute to encouraging our students to appreciate the value of agriculture, while at the same time taking a more active role in the community by bringing new technologies to the local farmers and households. Senior high school students in barrios and rural towns have a better affinity to the land that their counterparts in the cities do, and because of their age compared to their parents (or grandparents), will be more inquisitive and receptive to understanding and trying out new technologies. A good farming syllabus should open their minds to realizing that there is immense value in planting the right crops using the right implements and resources, and that farming will be able to provide a decent source of livelihood for them. 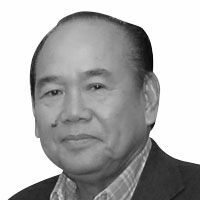 Of course, the government must act on the other pressing concerns that the nation’s agriculture sector faces, namely the shrinking size of farms, the need for more infrastructure support, lack of a truly workable program that will introduce mechanization to farms, and poor access to credit. I have discussed these in previous columns quite extensively. But before I digress, here are excerpts of Dr. Gorrez’s paper on 3TS. “This paper is addressed to rural high school as the focal point of activities where the school-required syllabus includes agriculture. Government statistics show there are 42,000-plus barangays throughout the country, and high schools (HS) exist most probably in 90 percent of these locations. “The main objective of 3TS is to teach teachers and students how to grow crops adapted to the locality, (and to) avail of assistance from agricultural agencies with technical personnel in developing a workable program. “The benefit from this structured continuing program is the ripple effect that is linked directly to the farming community when field days are programmed, hands-on participation is conducted, distribution of seeds is made available, and seedlings in plastic cups are provided to interested farmers or households in the communities. “This prohibits reliance on private business enterprises wherein farmers are subjected to exorbitant cost of planting materials. The schools are a source of information where seed materials are available, like from the Bureau of Plant Industry (BPI) or government state universities located in major provinces. “It is mandatory for high schools to have a 300 to 500 square meter lot near the school that will serve as a demo-farm for crop production and seed multiplication, and a show window where field days are scheduled regularly. “These will help ensure that families will have access to affordable and nutritious vegetable crops, and is an insurance against lack of food, threat of climate change, and natural disasters. “The government extension agencies and local government units can participate actively in the whole HS school program as partners in the food crop production of the farming community. “School institutions are permanently mandated to exist unless the Constitution is changed, while government-appointed or -elected officials are transients in their positions. “Schools can permanently secure the support for the students, farmer-parents, and farming communities for affordable seed or planting materials through the 3TS. “The Philippines is composed of 42,000 villages (barangays) where at least 10- to 15-percent of agricultural schools are located in the rural farming community. “The 3TS agricultural program will continue where students, teachers, technicians and farmers become permanent beneficiaries. The schools are mandated to exist and continue with its functions/operations, whereas other allied agencies will change objectives or replace their programs when newly-elected or -appointed officers take over the leadership. “The 3TS implementation program includes the following activities: 1. Developing and implementing a year-round crop/s subject matter guidelines/lecture that is synchronized with fieldwork activities; and 2. Developing demonstration programs to highlight testing and evaluation of new plant materials (from seeds or seedling sources), participation of farmers in production activities, (holding of) seminars and field days, (ensuring the) availability of seed materials, and (the development of) newer technologies to duplicate and sustain the program. Other support activities include “organizing a participatory inter-agency board (PIAB) represented by government ministries and bureaus to assist the entire school’s 3TS agricultural program by providing readily available man-power resources during planned year-round school activities, funding, and equipment. “The linkages among agencies through the offices of elected leaders is necessary and of utmost importance to improve the initial implementation process of 3TS program. From Dr. Gorrez’s letter, it seems that the DepEd leaves to the schools the responsibility of developing their own programs in support of agriculture and agri-business. It might be a good idea to agree on, as well as standardize such a syllabus, and disseminate this to all rural schools. As Dr. Gorrez stated, the whole country will benefit from this.